Portland has quite a few advantages for vegetable growers. Less influenced by the ocean than coastal Oregon, it is warmer in summer and less rainy, allowing the heat-loving vegetables like tomatoes to ripen well. Winter temperatures are higher than those areas near the mountains, but can dip down to only a few degrees above zero in this area of USDA hardiness zones 7 and 8. Many vegetables do well if planted at the proper time. Plants with edible leaves are well suited to Portland's mild climate. 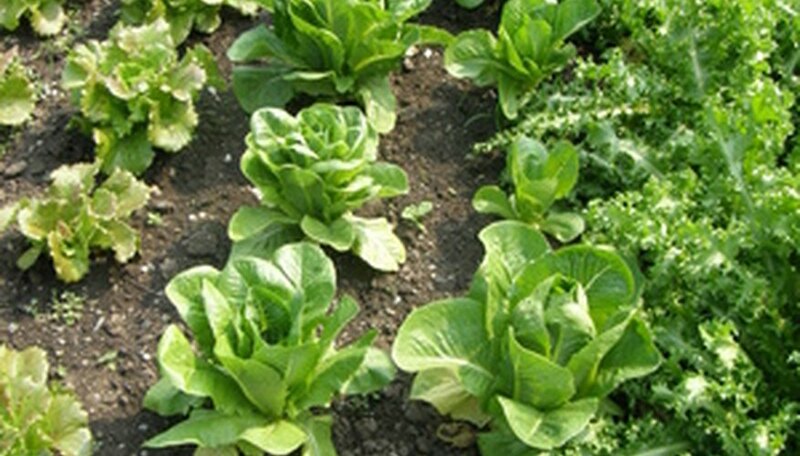 Lettuce can be planted as early as April, and successive plantings will give you salads through fall if you plant as late as August. Look for heat-tolerant varieties for late spring sowing, and experiment with the different colors and shapes of leaves available to find the ones you like best. Spinach can be sown in April for early summer harvest and again in September for fall picking. It dislikes summer heat, but you can use New Zealand spinach, an unrelated plant native to Australia and New Zealand, as a substitute in July and August. The long months of cool spring weather in this area are especially suitable for peas, both shelling and edible-pod types. Sow them in February and then make successive plantings a month apart through early May. You can grow tall varieties up poles or on fences and plant a patch of short varieties in the main garden to grow without support. Clear a furrow about 4 inches wide and scatter the seeds across it for best results. Cover with an inch of soil, and keep moist until germination. Home-grown tomatoes are one of the main reasons for having a garden, and Portland is fortunate in having summers warm enough to ripen the fruit while avoiding the hot and dry weather that prevails farther east. Plant four or five varieties in May, choosing a few early ripening ones, a few with smaller or larger fruit and at least one you've never tried before, just for fun. Floating row covers and plastic mulch film will help hold heat and speed the harvest. May is also the time to plant cucumbers, though the soil should be warm, at least 60 degrees, before planting. Home-grown cukes have tender skin that needs no peeling and a mild delicious flavor. If you're short of space, train the vines up a trellis. Try the lemon cucumber, a semi-trailing type with apple-shaped fruit that is mild and sweet. What are the Best Vegetables to Grow in Tennessee?